This is my first Update as the General Manager for the Office of Ethnic Communities since stepping into the very large shoes of my colleague Berlinda Chin. Berlinda has moved to be the Private Secretary to the Minister for Ethnic Communities – and these changes are designed to enable the Office of Ethnic Communities to provide stronger support to the Minister in his role as the champion for ethnic communities in New Zealand. I want to take this opportunity to introduce myself to you all. I was born in the West Indies to Dutch parents, and came to New Zealand as a non-English speaking youngster in the 1960s. In reading Mai Chen’s super diversity stocktake recently I came across the expression generation 1.5 – and I think this describes me quite well. The decision to migrate to New Zealand was made by my parents, and I think of myself as the ‘crossover’ generation. So what does this make me? Well - I am Dutch born, speak Dutch and am ethnically Dutch. However I am also a Kiwi - and a proud one. Through the course of my life I have had the opportunity to visit my family in Holland on many occasions, and while I feel a very strong affinity with the Dutch culture (think cheese, liquorice and Van Gogh) I realise that I am now first and foremost a European New Zealander. So I have had the opportunity to think about the issues of ethnicity quite a lot. Like many people who live in New Zealand I have multiple ethnicities (in my case Dutch and New Zealand). Recently I have become the father-in-law to a delightful woman from Malaysia who is Indian, and I now have two grandchildren who have even more ethnicities: Malaysian Indian, Dutch and Kiwi. I think this may partly help explain why 89 per cent of New Zealanders think it is a good thing for a country to be made up of many different cultures, attitudes and identities – a higher percentage than Australia or any other European country. Further to this 84 per cent of us will say that is a good thing for migrants to retain their own culture while adopting New Zealand culture. It is the positive attitude to diversity in New Zealand that the Office for Ethnic Communities aims to encourage, promote and protect. Ethnic communities have made enormous contributions to New Zealand’s development socially, culturally and economically, and it is important that these contributions are recognised and celebrated – so that New Zealand can fully realise the benefits of ethnic diversity. I’m looking forward to being the General Manager for the Office of Ethnic Communities in the Department of Internal Affairs, and to meeting and talking with you over the coming months about how we can work together to make sure New Zealand benefits from our increasing ethnic diversity. The Government is keen to engage with Muslim communities and acknowledge their contribution to New Zealand over a long period of time. The Office of Ethnic Communities also wanted to address some of the issues facing this diverse community such as the media reporting about Muslims in New Zealand and concerns about safety, security and their human rights. The Muslim Community in New Zealand is highly diverse and encompasses more than 55 different nationalities or ethnicities, including Indian, Pakistani, Somali, Malaysian, Fijian-Indian and Albanian. Of those who affiliated with Islam in 2013, 25.7 per cent were born in New Zealand, 21 per cent were born in the Pacific Islands, 26.9 per cent were born in Asia and 23.3 per cent were born in the Middle East and Africa. (Census 2013). 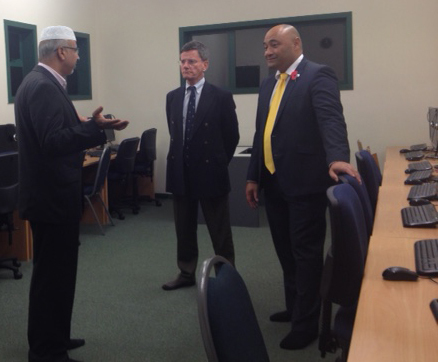 The event was a successful opportunity for the Waikato Muslim Association to meet with the Hon Christopher Finlayson as Attorney-General and the Hon Peseta Sam Lotu-Iiga as the Minister for Ethnic Communities, and to showcase their support for the local Waikato community. In particular the capability and support for their early childhood facility, the information technology/digital training resource and their women and children programmes that is part of the Jamii Masjid mosque. On 7 April, the Alpha-Massey Natural Nutraceutical Research Centre was officially opened in Auckland. The Centre is a joint project between Alpha Group Holdings Limited (Alpha Group) and Massey University and will focus on research on extracting health benefits from common New Zealand plants. The Co-director of Riddet Institute, Distinguished Professor Paul Moughan and the Chairman of Alpha Group, Professor Yi Huai Gao, have been appointed inaugural co-directors of the centre. The research centre will enhance New Zealand’s research and development into natural health products, providing both scientific and economic benefit. 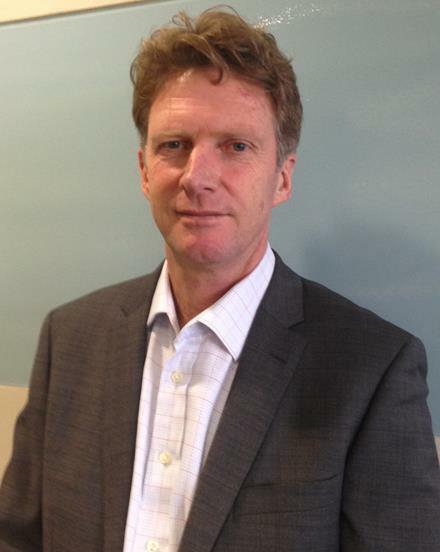 Professor Paul Moughan says the Alpha-Massey Research Centre “will leverage top New Zealand scientific expertise from across our partners to discover healthful attributes of plants common to New Zealand, such as feijoa, tamarillo, cucurbits and certain stone fruit”. The CEO of Alpha Group, Wei Gao, is a successful Chinese-New Zealand entrepreneur and will be speaking at the upcoming EPIC NZ Conference in May. Alpha Group had humble beginnings as a small retail store on Dominion Road in Auckland. Through hard work and an innovative approach to producing traditional Chinese medicines, Alpha Group is now a large multinational company exporting their products across the world. The launch of the new research centre is the next chapter for Alpha Group’s rapid growth. To hear the inspirational story from the Chief Executive Officer himself come to EPIC NZ 2016; registrations are still open. 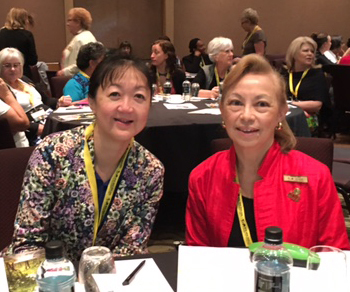 The Business and Professional Women International Asia Pacific Regional Conference (BPW) was held in Auckland on 9 and 10 April. It was attended by over 200 individuals from international BPW associations, women in business organisations, business owners and managers. With a key focus on empowering women through business, diversity and cultural equality, the conference aimed to understand the power of women entrepreneurs and business leaders to lead economic growth in the region. Berlinda Chin, from the Office of Ethnic Communities, spoke at a panel session focusing on the power of perception and shifting the norms in business. Berlinda discussed leveraging ethnic diversity and inclusive leadership, as well as shared previous work carried out by the Office, such as the Ethnic Women Leadership Programme and Trailblazers Project which chronicled the stories of migrant women entrepreneurs in New Zealand and the international publication ‘The Making of Ethnic Migrant Women Entrepreneurs’. ActivRecreAsian is a Harbour Sport initiative which aims to develop and upskill leaders in the Asian community in outdoor recreation. 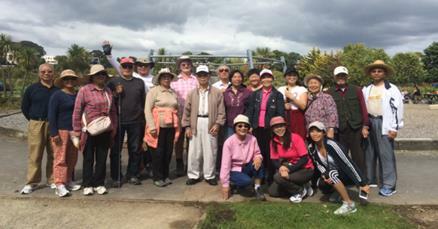 Thanks to the support of the Office of Ethnic Communities through the Settling In Fund, two Outdoor Bushwalk Leadership Courses were delivered on the 5th to 8th April for the Northcote Chinese Association and the Kristin Chinese Parents’ Group. A total of 28 participants attended these courses run by Linda Cole of the Women’s Outdoor Pursuits around the Kaipatiki area. Topics covered included safety in the outdoors, dealing with accidents, reading maps, leadership and group management, as well as introduction to flora and fauna along the walks. Many of these participants are new migrants and as a result of the course were able to socialise and be more connected to their local natural heritage. This course also enables them to lead their community groups and families in safely enjoying the great outdoors that New Zealand has to offer. One of the Office of Ethnic Communities very own youth leaders Shawn Thomas, 22, was the force behind ‘Meri Padosan (PK)’. Based on the 1968 Indian Bollywood Classic film, it featured 45 local performers and 45 Bollywood dance medleys. The music captures the essence of Bollywood and displays the ‘love hate love hate’ relationship between a boy and girl in the golden era of Indian cinema. The two hour musical was directed by Shawn Thomas, dialogues written by Waleed Bukhari and featured choregraphy by Zia Garcia and Supriya John. Held in the Aurora Centre for Performing Arts on Saturday 23 April, for one performance, it was the first musical for the company founded by Thomas a year ago. Proceeds from ticket sales are to be donated to Hagar NZ, a not-for-profit organisation offering support to women and children affected by abuse and exploitation. In his speech on Saturday 9 April, Te Ariki Te Puni challenged New Zealanders to reflect on the true meaning of the country’s national anthem and urged people to stand in solidarity against racism rather than be bystanders. 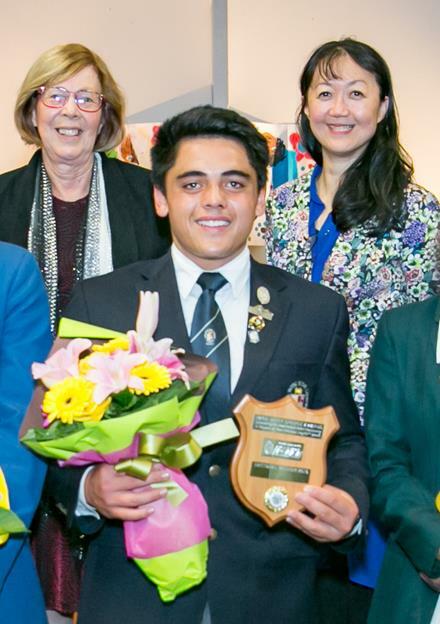 Te Ariki is one of 150 students, in the regional heats around the country. The Office of Ethnic Communities attended a public meeting in Auckland organised the by the New Zealand Chinese Student Association on Friday 1 April. The meeting was held in response to the spate of violent attacks and robberies involving Asian students in Auckland. Approximately 400 people including students, community leaders, media, tertiary institute representatives, officials and members of parliament attended the event. The speakers were concerned about the assaults and robberies involving the Chinese students in four separate incidents in late March and considered they could potentially damage the reputation of New Zealand as a safe destination for international students. The Police stated they were investigating these incidents and were reviewing CCTV footage. The Police also reported that they have since apprehended 10 individuals linked to the attacks and have deemed the attacks on Asian students as ‘opportunistic’ behaviour rather than racially motivated crimes. The meeting provided the opportunity for Auckland educational institutions to reassure the Asian community on their commitments to addressing their safety concerns. Various educational institutions presented at the meeting on the steps they have put in place to ensure the safety of Asian students. For example, Unitec reported how they have improved their own security monitoring system including holding security workshops for students, security patrols, increasing monitoring coverage and students’ feedback. In the panel discussions, the students and the community leaders had the opportunity to put forward some suggestions to the Police and the politicians to improve the security situation of the international students. Install more lights on streets and parks. Earlier the students organised a signed petition involving more than 5000 students to be sent to the Prime Minister John Key, Police Minister Judith Collins and Education Minister Hekia Parata. 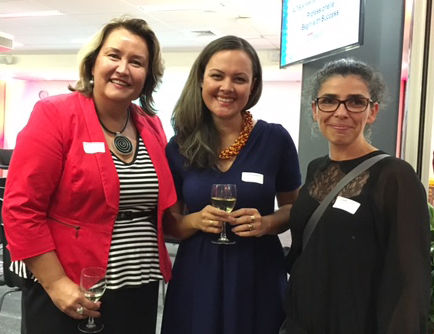 The Professionelle’s latest career development event for women, Begin with Success, was held at AUT on 11 April. Founded in 2007, Professionelle is a well-established organisation that focuses on supporting women in business, offering pragmatic advice and connecting professional women at all stages of their careers. Supported by AUT Business School this event attracted over 200 women from various business backgrounds, education sectors and leadership development associations. Career lessons and insights from a diverse panel of women forging successful careers and creative enterprises were shared. The event provided a great networking opportunity for professional women to engage directly with key stakeholders in business and education sectors. The latest publication, Begin with Success, was also available and is a compilation of the most popular articles published on the Professionelle website. This is the first in a series of five books that will independently address a different career stage and the associated needs and pressures for women. It contains real-life examples that are supported by research. In addition, Professionelle has also initiated a mentoring programme for women who are in their early-to-mid careers. The Office of Ethnic Communities and Professionelle have been key partners in previous projects, including Leadership Programmes. For further information, please go to their website.